Steve Pittard FRICS is a lecturer in the School of the Built Environment and Architecture at London South Bank University where he is also an Academic lead for the University’s BIM Centre. As an active Fellow of the RICS, Steve is a member of the UK Technology Focus Group as well as an Assessor for the recently launched RICS BIM Manager Certification. Steve is also a co-founder of the BIM Academic Forum and external examiner at the Dublin Institute of Technology. Peter Sell is a qualified quantity surveyor, and a partner at Gardiner & Theobald. He worked the London 2012 and Crossrail programmes where he was involved in the development of the contractual BIM requirements. 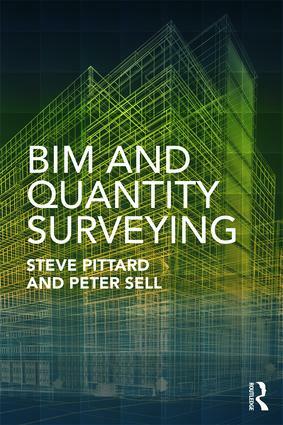 He has been involved in the development of technology use within quantity surveying for the last twenty five years. Peter is an active member of the RICS he sits on both the Infrastructure Forum and the UK Technology Focus Group and is an Assessor for the recently launched RICS BIM Manager Certification.